Kids have strong opinions about everything from school rules to the clothes they wear. This opinion writing piece allows students to express their opinions on should Halloween costumes be banned from schools. 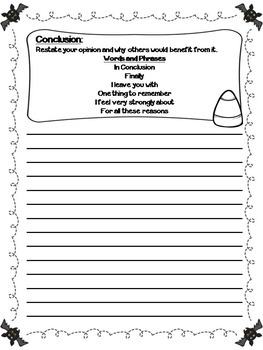 The lesson begins with students completing a close read on an article with various opinions on the topic. Students then use evidence from the article to support their opinion on should Halloween costumes be banned from schools. 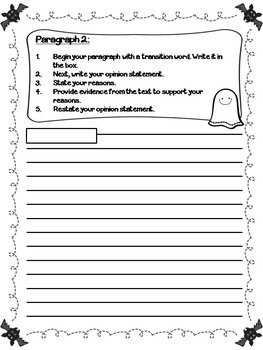 Once students have used evidence from the text to support their opinions, they will write a 5 paragraph essay expressing their opinions on the topic. 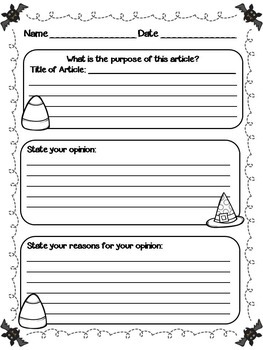 Opinions in the essay must be supported with evidence from the article! This product is aligned with the Common Core Reading and Writing Standards and best suited for students in 4th-6th grades.